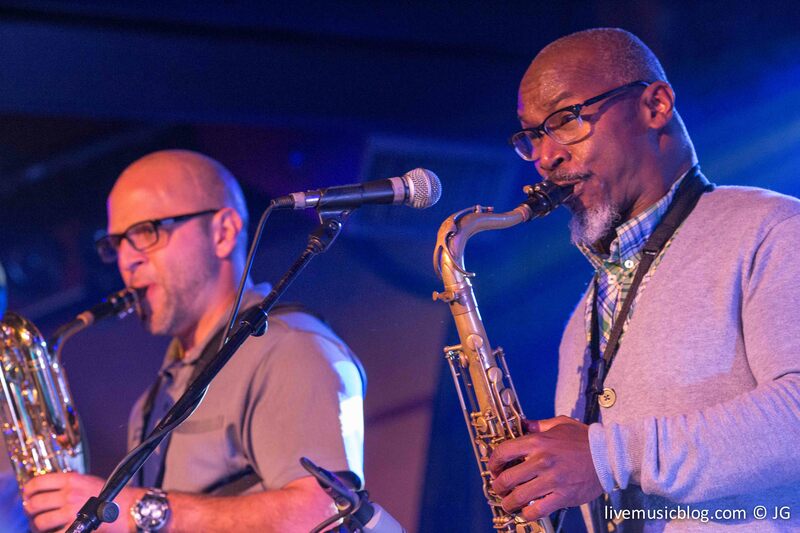 Playing to a hometown crowd proliferated by the halloween spirit, San Diego native Karl Denson took the stage at the Belly Up to pay homage to the great Ray Charles with his signature boogaloo funk sound. Zach Deputy took vocal duties and the The Cosmic Horns supported as an electrified crowd heated up the dance floor. One member of the audience was even moved to propose on stage mid-set (she said yes). Karl Denson is no stranger to the tribute show dance party (Beastie Boys, Rolling Stones), and his experience shined through in the carefully crafted set. Denson mixed in a handful of his own tunes before being joined by Zeputy for several Ray Charles favorites. The musical talent on stage was more than capable of doing justice to Charles’s iconic tracks, and we sincerely hope that Denson takes on new musical catalogs on future tours. Karl Denson’s Tiny Universe will present another round of Ray Charles Boogaloo Dance Party tonight at the Belly Up Solana Beach. So if you’re in the area, grab a costume and your dancing shoes, and get to the Belly Up tonight at 9pm!